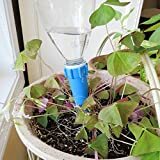 PLANTER PERFECT VACATION WATERING – Automatic Self Water, Plant Spikes Water House Plants and Flowers – Recycled Wine Bottle Drip Irrigation System With Safer Packaging – 100% Satisfaction Guarantee! 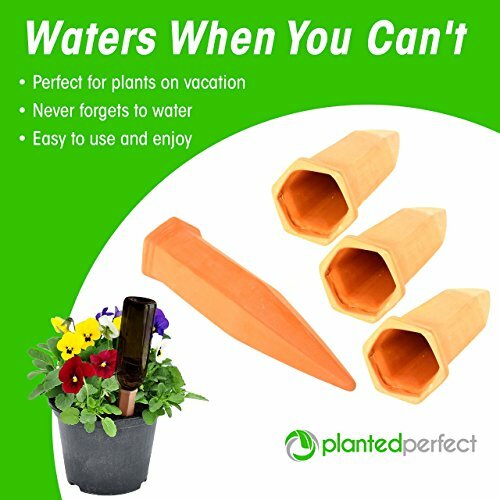 ✓ WATER PLANTS, EVEN ON VACATION - Take the worry out of a weekend trip, knowing your plants, your passion are 100% well cared for with terracotta drip irrigation spikes designed to carefully, accurately keep your pots and plants moist and thriving. They seep as soil dries for optimal hydration. 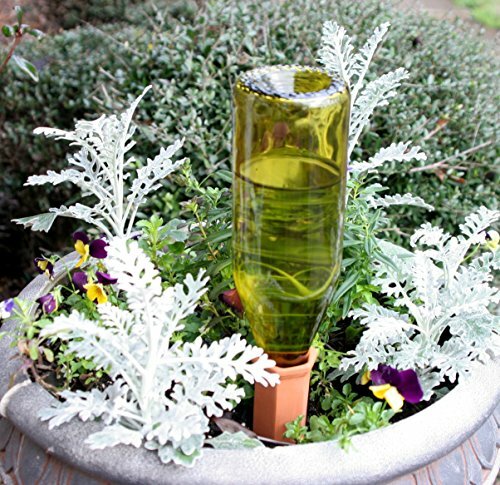 ✓ STYLISH, ECO-FRIENDLY WATERING - Recycle old, already enjoyed wine bottles and save yourself the hassle of having to water every day. Make potted plants and indoor greenery are beautiful on their own - no forgetting to water, no accidental dry spells. PLUS your planters look great with earthen plant nanny style stakes on constant, cooling water duty. 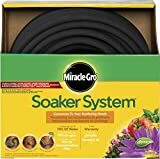 ✓ CUSTOM WATERING WITHOUT THE WORK - The indoor irrigation system takes guesswork and watering out of your schedule, dripping just the right amount of water for your flowers to thrive, RIGHT when they need it - no more dry, dead or drooping plants or crusty leaves. It's automatic! 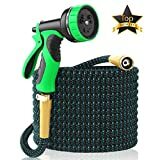 ✓ RELIABLE, EASY WATERING - Wow fellow gardeners. 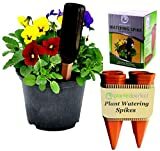 Your beautiful, baked earthen clay watering spikes standout, instantly inviting envy. 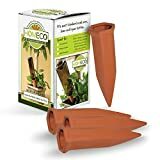 And don't worry, they're shipped and protected with UPGRADED CUSHION PACKAGING so you receive these old as time, artistic self-watering stakes and are able to instantly enjoy them - feed your plants, free your time! 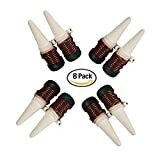 CRAFTSMAN QUALITY WINE BOTTLE STAKES WITH A 100% MONEY BACK GUARANTEE - LOVE them or your money back, no questions asked, just return them for a prompt and courteous refund. 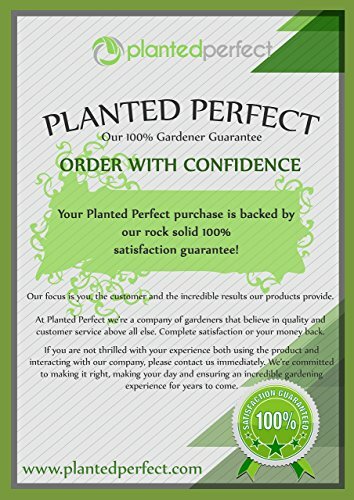 We're a company by and for avid gardeners and we're here 7 days a week to deliver you UNSURPASSED SERVICE, answer any gardening, pruning or planting questions and ultimately help you get your garden hands dirty doing what you love! PLUS SEE OUR PROMOS BELOW FOR MORE GREAT GARDEN DISCOUNTS! ORDER TODAY. 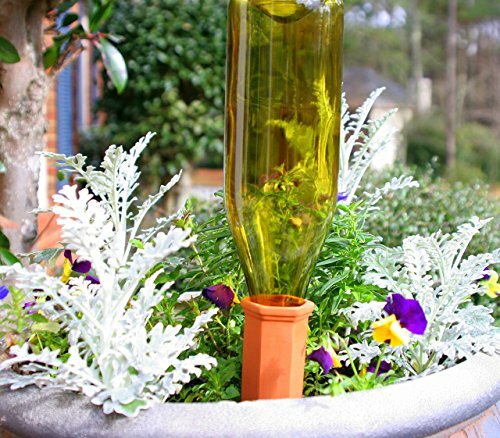 Better and More Beautiful Than If You'd Watered Them Yourself - Automatically! Shouldn't Pristine Potted Plants - Even After Vacation - Be Harder Than This? NO WAY - it actually waters itself. Really! Easier is better, especially when it comes to watering. Vacation dry spells and forgetfulness used to decimate your houseplants, costing time, money and heartache. Make your life easier and home more beautiful, you deserve it. 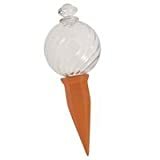 Make planting tomatoes and potted plants easy and worry-free, know your flowers, roshes and flora are flourishing - whether you remember to water or not. Proven irrigation system design soaks soil and keeps even the driest, thirstiest plants properly hydrated. -Natural, Long Life Design - set it and forget it. 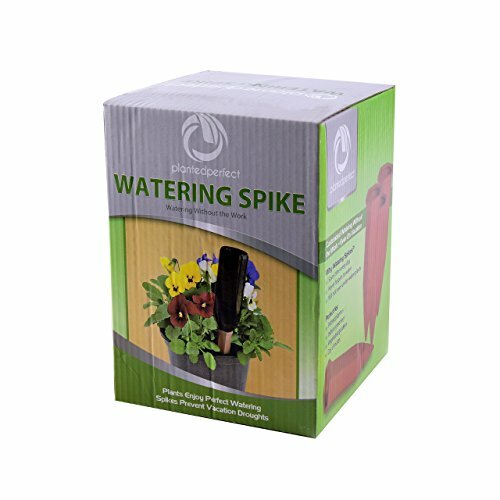 These terracotta watering spikes care for your plants AS LONG as you like. There's a reason clay artifacts endure for ages. BONUS! 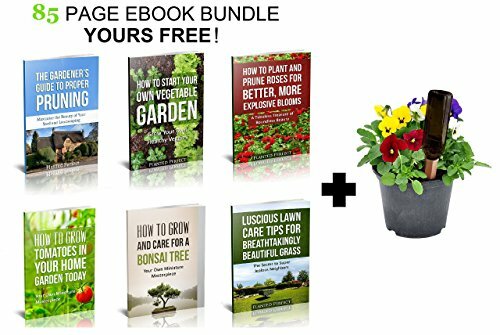 ORDER NOW and for limited time get our 6 EBOOK BUNDLE: How to Prune Perfect Gardens & Starting a Veggie Garden FREE - 73 pages to inevitable yard envy and your own veggies. Flowers die, bushes fade the Planted Perfect water spikes are built for the lifelong gardener. We stand 100% behind the quality and craftsmanship of our garden tools. If you are not thrilled with your experience, please let us know, we will refund you no questions asked. 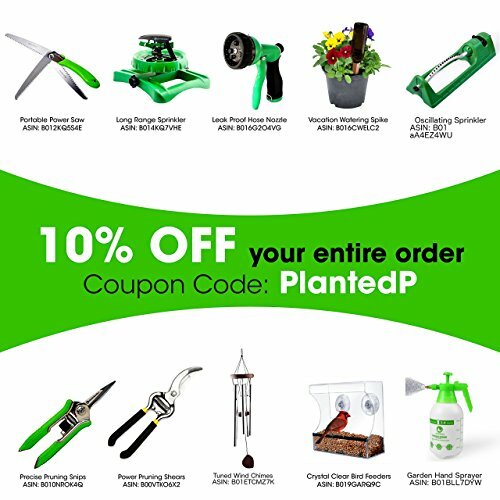 Click Add to Cart right now to take your Gardening Experience to the Next Level! Limited Stock, Don't wait! 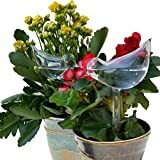 EarthMod: Vacation Or Not, House Plant Self Watering With Best Hand Blown Glass Bird Waterer System Is Easy As Aqua Globes. 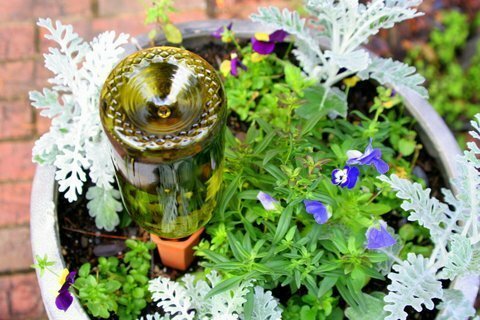 Automatic Globe Irrigation For Patio, Lawn, Garden Pot Or Planter.